This will be our first weekend since April without significant rain. However there is a chance of showers on Fathers Day the farther west you go. I have highlighted the spots below. The main weather issue will be the temperatures. 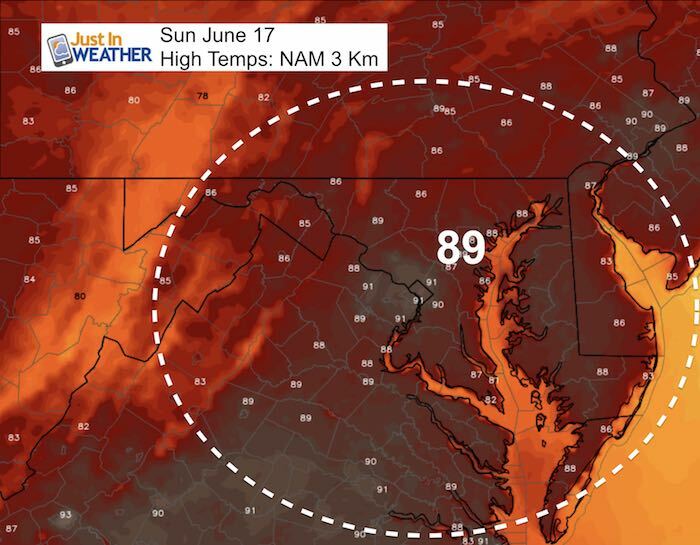 Heat will continue to build and we should have three days into the 90s, but how hot? Michigan is a prime area for storms that will send high clouds our way. So the sun may dim behind a veil of thin cirrus clouds this afternoon or evening. I mentioned the weekend will be ‘mostly dry’. That means most of our region. Western Maryland will have some morning showers on Sunday that could drop into West Virginia. 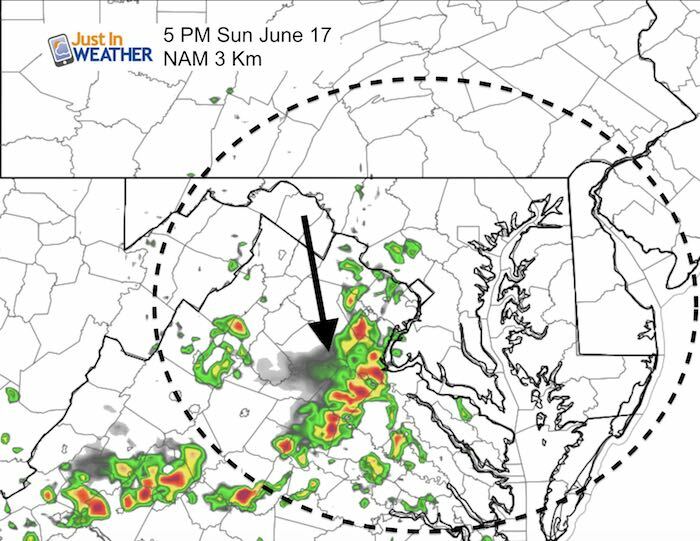 The afternoon will feature a cluster of storms west of Washington DC dropping through northern Virginia. 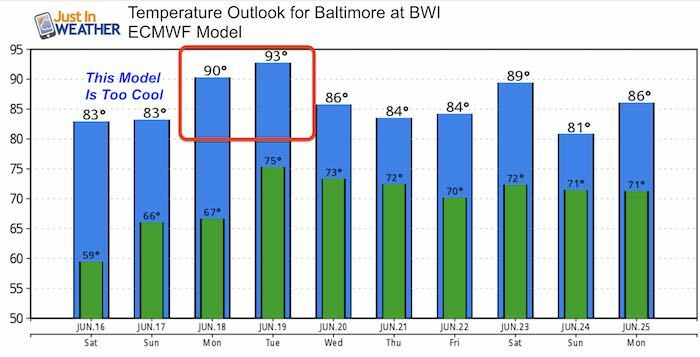 Here are the two main model projections for temperatures in Baltimore at BWI. 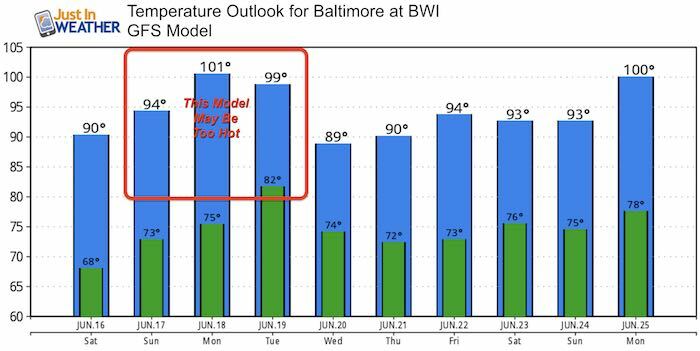 The GFS has been running too warm, while the European Model has been too cool. So we should verify somewhere in the middle…. 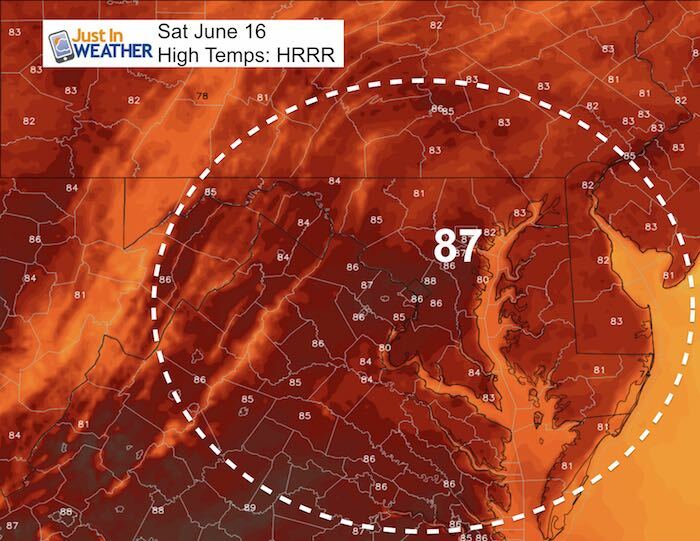 The Goldie Locks Zone still puts us in the 90s for three days, if we hit that mark open Fathers Day..